PORTLAND – A hobby that turned into an obsession ultimately led an entrepreneur to get into the growing Oregon wine scene by launching a wine club called Cellar 503. Carrie Wynkoop, who grew up in the Pacific Northwest, started Cellar 503 in November and has quickly found a willing and growing audience for the wines she selects from across Oregon. Please take a moment to click and leave an honest rating or review in the iTunes Store. 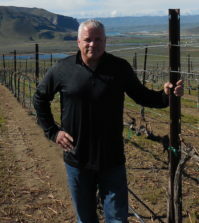 It will help others learn about the wines of the Pacific Northwest. It might seem that Wynkoop would be a natural to get into the wine industry. Her last name, pronounced “WINE-coop,” is a Dutch word for a wine cooper, or someone who builds wine barrels. She has dug into her genealogy enough to know someone in her past likely was in the wine business. Wynkoop grew up in Olympia, Wash., and when she moved south to attend Lewis & Clark College, she found her happy place. While in college, Wynkoop sold wine at Cost Plus World Market, but then moved on to other things, including starting an Internet marketing company with her husband after graduation. But wine eventually pulled her back in. She began to study wine more and try to figure out how she might turn it into a career. She ended up finding a niche through something she wanted. 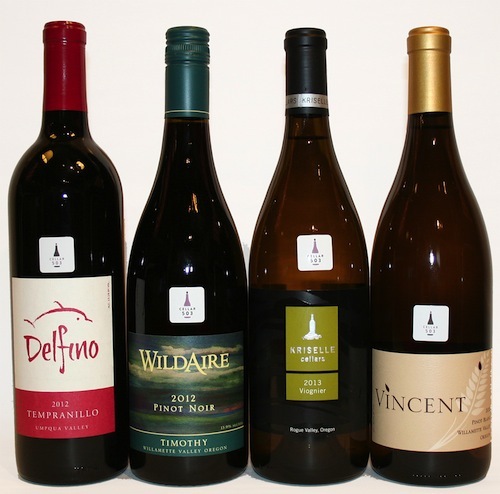 Wynkoop had become a member of several winery wine clubs, but she was looking for something a little different. But the two spent the next few months researching the potential opportunity and came up with the concept of Cellar 503. 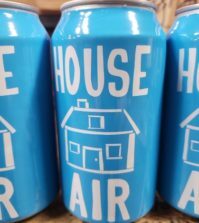 Their first shipment went out in November, and they already have about 75 members, a third of whom live outside of Oregon. With 550 wineries in Oregon, and most of them seemingly producing Pinot Noir, Wynkoop works hard to make sure she is providing a diverse mix of wines. 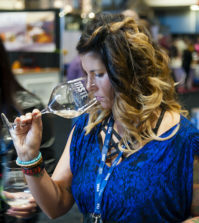 But she’s also somewhat smitten with Southern Oregon and its bigger, bolder wines – and she is more than willing to go beyond the 503 area code. 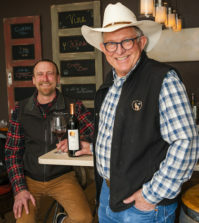 Wynkoop already has explored Oregon’s newest American Viticultural Area: The Rocks District of Milton-Freewater in the Walla Walla Valley. Wynkoop curates all the wines that go to members of Cellar 503, and that means a lot of travel. She is focused on smaller producers – wineries producing fewer than 10,000 cases annually. “I meet as many winemakers as I possibly can, and I taste through their portfolios and see what I think might be a good match for our club members,” she said. She has a theme for each month. For example, March focused on urban wineries in Portland and Eugene, while April will feature biodynamic and organic wines. Wynkoop’s members have a lot of flexibility. They can order monthly or quarterly. They can select two reds, two whites, a mix of each or all four. A typical month will cost between $45 and $55 for two bottles, depending on the mixture. For those who want to save shipping costs on their wines, Cellar 503 has pick-up parties in which Wynkoop pours upcoming selections. At this time, Wynkoop can legally ship to 41 states, with Massachusetts being the most recent to repeal its own version of Prohibition and allow direct shipping to consumers. 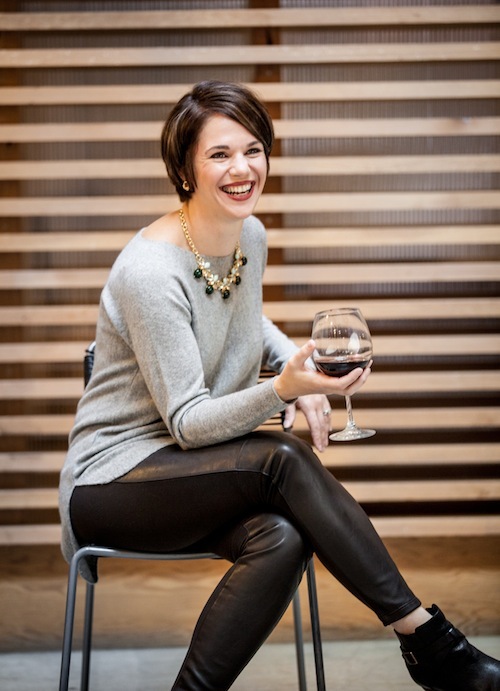 While Wynkoop still spends some time on the family’s Internet marketing business, she is working hard to turn her wine obsession into her full-time profession. And with more than 500 wineries to research, she needs it. “It’s a constant research project,” she said.